I am prompted to report on this issue by a news item last week. A Baptist minister in Uniontown, Pennsylvania, buried his 18-year-old son, who died three days after a car crash on July 12, in the backyard of the pastor’s church. While state law doesn’t prohibit this, some county and local ordinances do, and this county, Fayette County, only allows burials on large parcels zoned for agricultural use. 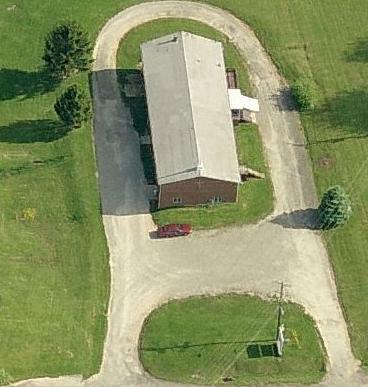 The church has only five acres and is in a residential zone. More detailed coverage is available in the Pittsburgh Tribune-Review. Their article quotes the county planner as saying 50 acres are required. I checked the regulations. It says 50 acres. The pastor says he will apply for a variance. What will be the hardship claimed? The church faces fines of $500 a day. A court hearing is on December 7th. It’s a sad, tough case. The question really is what is an appropriate standard for small, informal burial grounds? When was the last time you looked at your burial regulations and had a discussion about them? Do they prohibit scattering of cremated remains and memorial gardens for such remains? If so, why? There may be good reasons, such as the ease in removing and relocating remains. See the ordinances cited below. The Pennsylvania Association of Township Supervisors has some guidance on-line, but no suggested regulations. Click here. People in Mountain Home, Idaho, talked about these issues last year. Elmore County, where Mountain Home is located, changed its regulations to allow backyard burials under certain conditions. Go here to read it. It has the basics and is worth considering. The New York Times had a detailed story on home burials this last summer. 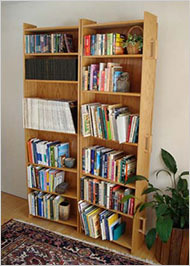 Here’s an attractive homemade coffin pictured in that article that you can use as a bookcase until needed. Chester is a rural town and it reminds me of Vermont. Now there’s a state that knows something about backyard burials. The Vermont Department of Health website has this guidance: “Families in Vermont may care for their own dead [1973 Assistant Attorney General opinion] and this includes transporting the deceased, burial on private property, and/or cremation. Vermont law does not require embalming, but you should consider weather and reasonable planning so that disposition is carried out in a timely manner.” See http://healthvermont.gov/vadr/burial/home.aspx. I can see why it’s not a good idea to bury a person near a drinking water well, but tell me what the issue is with the power line unless it’s a backhoe hitting it? Note the mention of weather. My family is from Vermont, I have a home there, and I teach at Vermont Law School. Let me tell you, no where else in this country do people spend more time on the weather than in Vermont. You really should listen to Mark Breen and Steve Maleski’s “Eye on the Sky” weather reports on Vermont Public Radio with web streaming. Go to this site, look for the box entitled “Options” and click on “Eye on the Ski Forecasts.” Then click on “listen,” then go to “comprehensive forecast” and click on “listen.” I promise, it will be worth the effort. You’ll get three credits in meteorology just for listening. See also http://www.vermontguides.com/2002/11-nov/eyeonthesky.htm. The zoning enforcement officer issued a cease-and-desist order. The case went to trial. Elsie Piquet lost. The court found that the Chester zoning regulations are permissive in nature and those uses not specifically permitted are prohibited. This type of regulation is to be compared with regulation characterized as prohibitive zoning “where all uses are allowed except those expressly prohibited.” Permissive zoning regulations are the predominant type in Connecticut. The court granted the town’s motion for summary judgment in part on the interpretation of the regulations and in part because the plaintiff did not submit any evidence in support of her claim that the burial should be considered an accessory use. Click here for a copy of the decision. “Natural burial” is emerging – sustainability, if you will, when life is no longer sustainable. Natural burial began, according to the Centre for Natural Burial, in the United Kingdom in 1993. See http://www.naturalburial.coop/. I have been reading all I can on what happened (to see me so engaged makes my law partners think I have work), though it’s uncomfortable at times as it feels a little like getting to know someone really well by reading their obituary. The experts tell us that the housing bubble was caused by several factors. 1. Too much home ownership. Think of your local affordable housing programs. Most produce housing for ownership. Homeownership has increased from 64% in 1994 to 69.2% in 2004, an all time high. It’s a chicken-and-egg thing. Maybe the high level of ownership is driven by the easy credit, but it could be the other way around. Compare our ownership with other countries. In Switzerland 34.6% own, Germany 43%, France 55%, Austria 56%. For the first time in a half century, home ownership in Great Britain declined in 2007. Too many people with too little money own too many homes. It’s cheaper to rent and some people who own homes should not have been enticed to buy them. 2. Buying for speculation rather than shelter. A study by the National Association of Realtors a few years ago found that 23% of homebuyers specifically identified their purchases as investments. Another 13% said they bought vacation properties, real estate which inherently has a speculative component. Think of all the house flippers you have had to listen to at parties, bending your ear about how they bought with a low interest adjustable rate mortgage so their carrying costs would be low, tidied up the place, and sold it for some big profit? California (of course, it’s always California) has a licensed real estate agent for every 52 people. Compare that with say, veterinarians. California has the 8th highest per capita ratio of veterinarians, yet they have just one for every 5617 people – in short you’re more than a hundred times more likely to encounter a real estate broker than veterinarian in California. 3. Low interest rates. The plain fact is that money has been and is cheap. Cheap money was brought to us in the first instance by the dot.com crash in 2000 and the Federal Reserve cutting its short-term rates to the lowest ever, down to 1% from 6.5%, to overcome the 2000-2001 recession. 4. Residential real estate as a safe harbor. So, after NASDAQ dropped some 70% when the dot.com bubble burst, people took what money they had left and put it in residential real estate, figuring that had to be safe. That drove up the price of housing, as did the easy credit, over-emphasis on ownership, and herding instinct encouraged by the media touting investment in residential real estate. 5. Bad lending practices. This we have all heard enough about that to accept it as a principal cause for the bubble and its bursting. Now, however, many foreclosures are of good loans, ones with relatively low loan-to-value ratios, and fully-amortizing at fixed rates. The problem has become that the bursting bubble has wiped out jobs which has eliminated income which has led to defaults – all in a cascading effect. Here he is pitcured on one of the sites with his biography. You can get information here also. He asks why California and Florida are ground zero for burst bubbles and Georgia and Texas escape largely undamaged. The answer, he says, is simple – the former two states have growth management, the latter two don’t, and growth management constrains supply, driving up prices. When the bubble gets big, it bursts. The solution? He says “…states and urban areas with growth management laws and plans should repeal those laws and dismantle the programs that made housing expensive in the first place.” No bubble, no burst, no recession. Ask yourself what metropolitan area has the absolutely toughest growth management system? You will likely answer: Portland, Oregon. I went to the latest Case Shiller index for year-over-year prices and see that Portland with a highly constrained market is down 14.4%. Atlanta, essentially a free-fire zone when it comes to development, is down 15.3%. And Detroit, it’s a complete tragedy, is down 23.6%, barely beaten by Miami at 29.5%. Google “Detroit growth management” and the first hit is the Detroit Economic Growth Management Corporation. Its job is to promote growth. We must remember that the big bubble, big loss markets are for the most part ones that had enormous increases in value, so the bursting brings them back to the ground (no Balloon Boy hoax here). Detroit is quite different as it never enjoyed the up swing and its devastation is almost entirely to be attributed to the loss of jobs. It really is about employment now. Augusta, Maine, with steady employment from the state capital, has had no bubble and no burst. Growth management may be part of the problem in some markets, but the true cause of the housing bubble is far more complex than that.